As readers of this blog know, I wrote extensively last year on the important, and largely muddled, opinion in Reliable Fire Equipment v. Arredondo. The Second District Appellate Court in Illinois caused a split with its rejection of another district's approach to analyzing employment non-competition agreements. Still, it is not totally clear what test applies in the Second District, and assuming I am right, three of the five appellate districts in Illinois have different tests for enforceability. This past week, Reliable Fire Equipment filed a Petition for Leave to Appeal to the Supreme Court of Illinois. That petition likely will be decided in the next six weeks, and the Court almost certainly has to take the case. 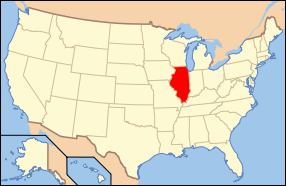 As it stands right now, the enforceability of a non-compete in Illinois depends largely on where a suit is filed. Assuming the Court does take the case, I hope it adopts the traditional three-part reasonableness test that is common in many states, including Iowa and Ohio. For those of you interested in my prior discussion of Reliable Fire Equipment, read here, here, here, here, here, and here. (Yeah, it was an important case.) If you haven't had enough, check out Zachary Jackson's post here. I was gratified to be cited in the PLA under the heading discussing how litigants are divided and "unable to agree" on what test governs non-compete agreements in Illinois. In one of those odd twists of fate, my views were juxtaposed against a former adversary of mine who (unbeknownst to me) published another view on what Reliable Fire Equipment really means.